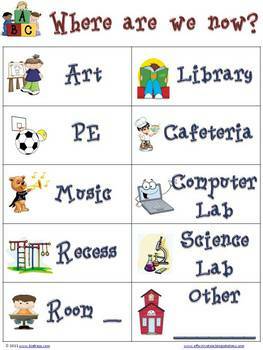 This classroom door poster is the perfect tool to let others know where your class is at as you move throughout the school building. Print it out, laminate it, and add it to your door. As you come in and out of a classroom, simply move a clip around the poster to let visitors know where they can find your class. Get ready for back to school by downloading this neat little classroom helper today!